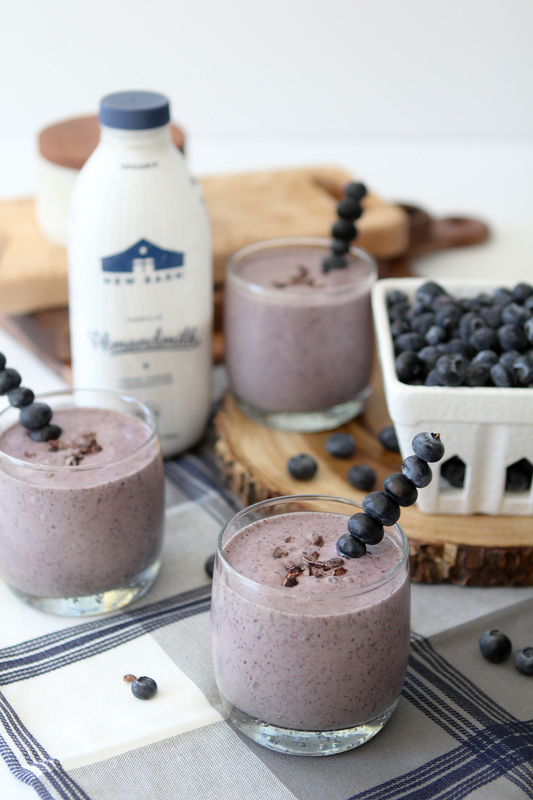 This collagen infused Blueberry Chip Smoothie from The Whole Smiths is brought to you in collaboration with New Barn Organic Almondmilk. 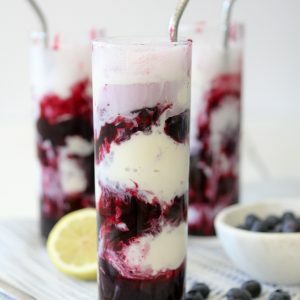 It’s refined sugar free, paleo and totally refreshing! 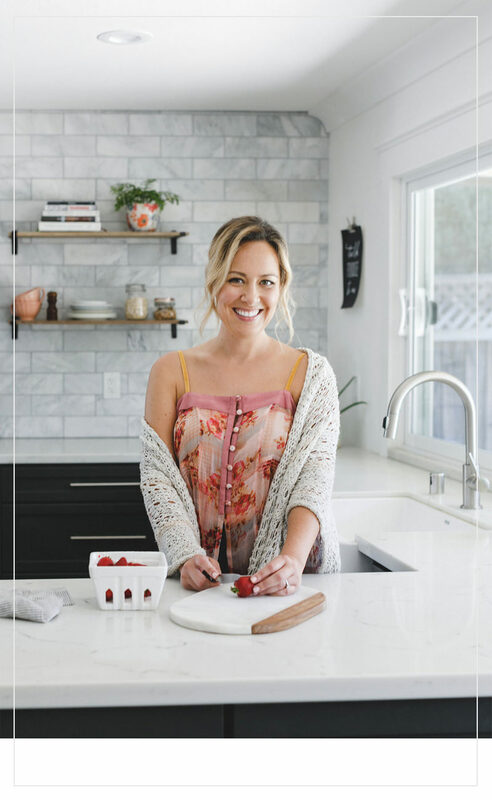 These days we’re hearing so much about collagen, it’s almost impossible to hop online and not see someone touting its benefits. You can take a quick peek at some of the perks collagen offers our bodies HERE. A couple of years back ago I was pretty religious about including it in my diet. I had been experiencing hair loss (from stress) and kinda freaked out. After hearing about the magical powers of collagen I decided to give it a whirl and lo and behold, my hair started growing back in wonderfully. It took awhile but it happened. However, I soon slipped on my regular collagen doses and stopped using it. Fast forward to today. While the release of The Whole Smiths Good Food Cookbook has been nothing short of an amazing experience it has had some stress attached on to it. Admittedly all self imposed. 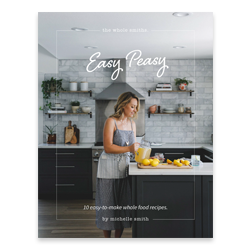 I’ve put a lot of pressure on myself to not only create a book that will really truly be of value and service to people but from a business end, do well. Those are the things that drive me. 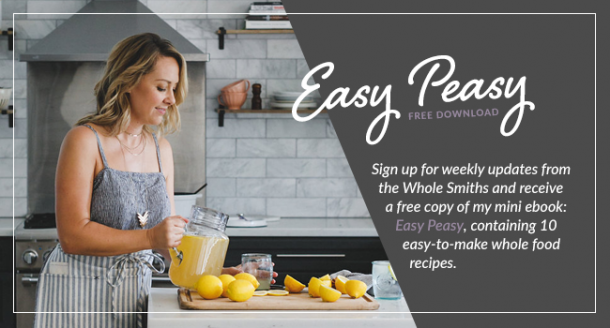 To provide a needed resource in the clean eating community and to be successful at it. And let me be perfectly clear, the stress is worth it. But I do need to do a better job of my self care along the way and taking time to relax, de-stress and look at the big picture. None of that has ever been my in wheelhouse though and it’s an effort for me. An effort I’ve decided to prioritize this summer. Things like focusing on my personal wellness, state and being have come to the forefront. My workouts (as they are always the first to be cut when things get busy) are now a top priority. Meditation and undoing the effects the stress has taken on me are also included. Which brings me back to the hair loss and collagen! See? I brought it back around for you. My hair has been in less that stellar shape these days. I’ve been noticing more and more of it coming out in the shower and decided to reintroduce collagen back into my diet regularly. So here we are. 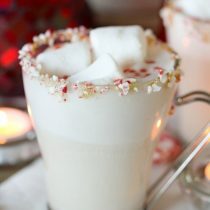 While I often add collagen into my morning lattes, I don’t really drink them as much in the summer. But I will have an afternoon smoothie shake. 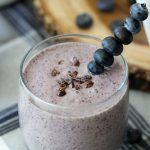 For this particular I wanted to create a smoothie that was simple, tasty and had a lot of nutrients and would be super clean to drink. 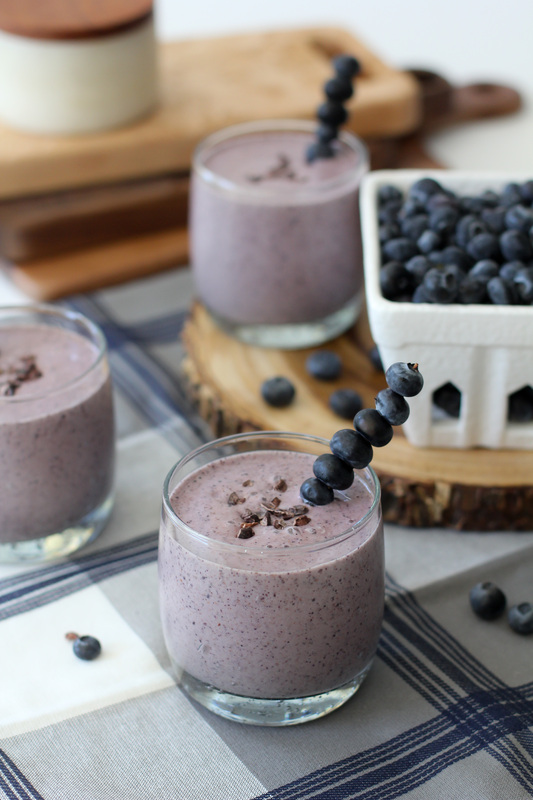 Enter the Blueberry Chip Collagen Smoothie. 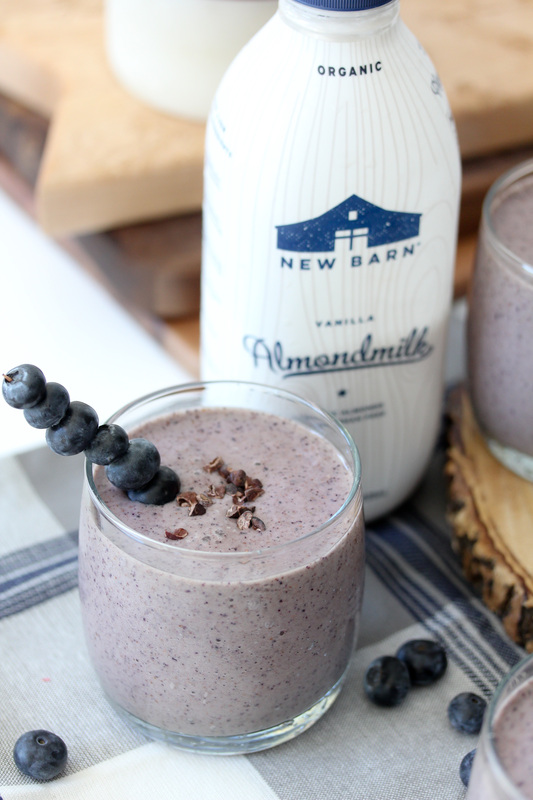 As any smoothie lover knows, you need to start with a good base… in this case some New Barn Organic Almondmilk! As you may know, I profess my love for New Barn on a regular basis because they truly are my favorite almond milk. I never need to worry about the ingredients as they are so cleanly laid out on their label. 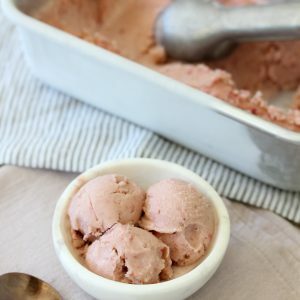 Their vanilla variety (which I used in this recipe) includes the following: Organic Almondmilk (water, organic almonds), Organic Maple Syrup, Organic Acacia Gum, Sea Salt, and Organic Vanilla (water, organic vanilla bean extractives and organic sugar). Something else that I really love about New Barn is the actual taste of their almond milk. I mean… it tastes like almonds. Who knew! The reason why is because they use 6 times more almonds in their almond milk than leading brands. And it shows. It’s also why I love keeping my smoothies simple, so the taste of the almond milk comes through. I will confess, prior to New Barn I wasn’t a huge fan of almond milk. Most of them tasted chalky and flavorless to me. It was always missing that “almond-y” flavor I expected an almond milk to taste like. For someone who was giving up dairy, I was sorely disappointed. Fortunately New Barn solved that problem and has a large variety of almond milks to suit all of your almond milk needs. Whether it’s their Barista blend for a luscious coffee drink or their Unsweetened variation that is great for your Whole30, they have you covered. Make sure to check out the Dirty Chai Latte or the Whole30 Magic Green Sauce I created using both of those. 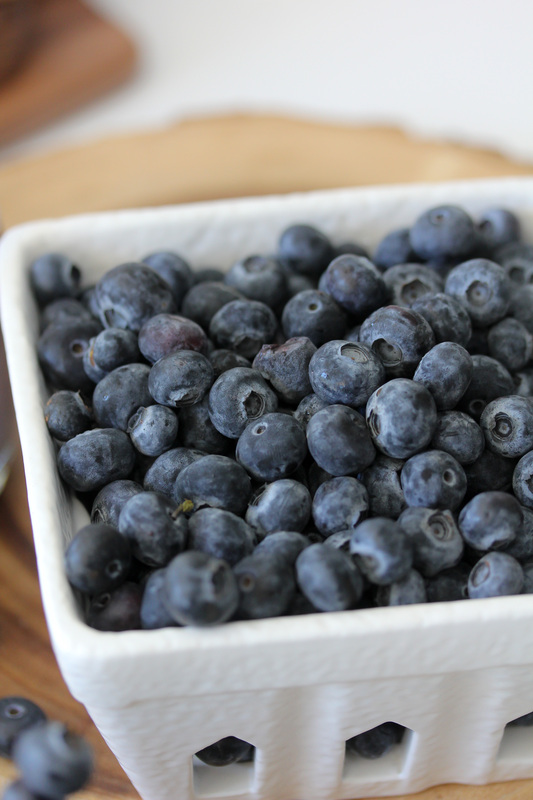 Since it’s summer I wanted to use a fresh berry that wasn’t going to add a lot of extra sugar with this strawberry but would pack a punch of antioxidants so blueberries it was. I used one frozen banana to sweet things up and get it cold and icy but if you don’t have one frozen a regular banana will work. Finally I add some cacao nibs for a bit of flavor and fun texture. You can also use chocolate chips in place of the cacao nibs but I prefer the benefits of the “nibs” and they don’t have added sugar. And there you have it. 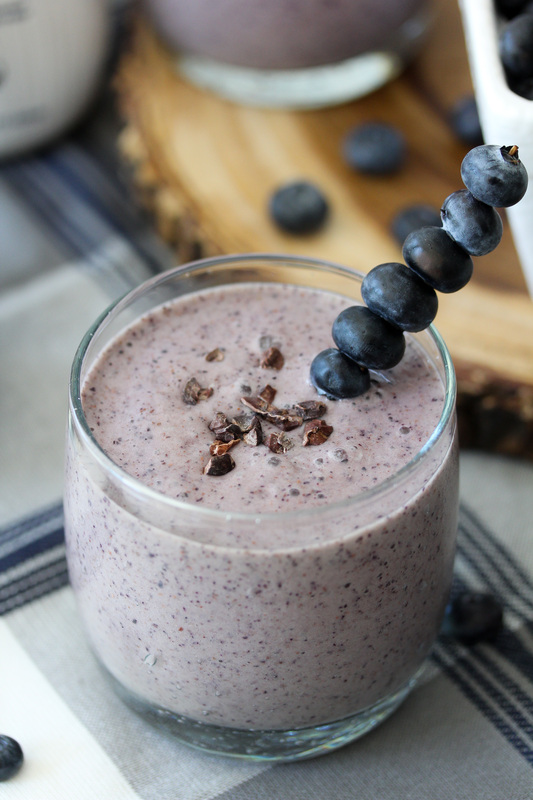 All of the ingredients in this simple smoothie that will pack some nutrients into your day. So tell me, how do you like getting extra collagen into your diets? 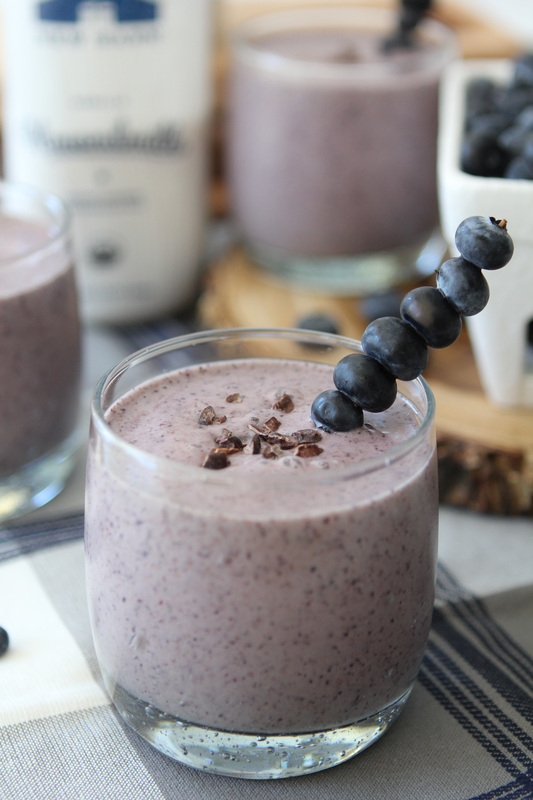 This collagen infused Blueberry Chip Smoothie from The Whole Smiths is bound to be a hit at your house. Not only is it nutrient dense and delicious but paleo and dairy-free. This looks delish. Do you think it would still work if you omit the banana? Or do you recommend something else to take its place? ?